My daughter celebrated her 14th Birthday at the locked room with her friends. They did the Forbidden Temple room and loved it. Great fun for parties and just family get togethers! 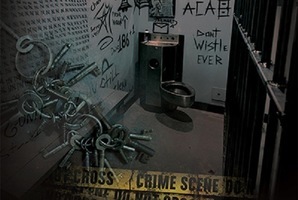 This is the 2nd locked room we have done and will definitely be doing more! You and your team of archaeologists have made it into the secret entrance of the Forbidden Temple where legendary riches and treasure lay ahead. However, there are about 10,000 angry hostile native warriors trying to hand your head on a spear … and they will be able to tear down your barricades in about an hour. 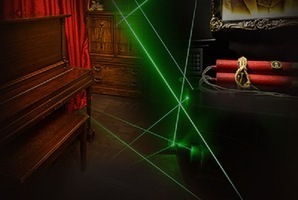 You and your team must find a way into the temple, bypass all defensive measures, and make your way into the throne room to escape using one of the secret passage ways. Fail and your head will end up on a spear as a warning for others to stay away! 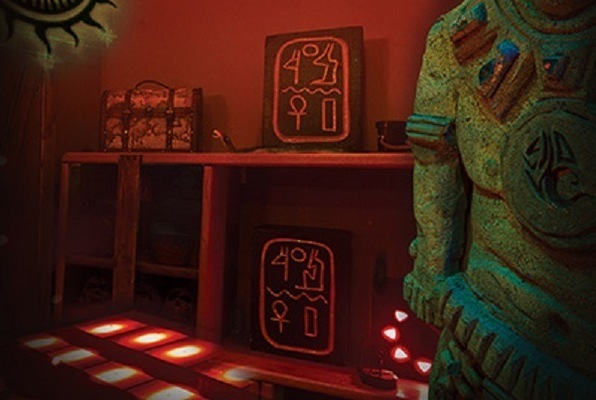 Reviews of escape game "Forbidden Temple"
Our group of 2 adults and 4 ten-year-olds completed the "forbidden temple" room with seconds to spare. I don't think we could have completed it without the help of the younger people. Their memory was proven very useful. It was challenging, but also so awesome that we completed it! What a feeling of accomplishment.